7 Top Benefits of Using Natural Handcrafted Donkey Milk Soap. Natural Handcrafted Donkey milk soap is full of benefits for you and your skin! Donkey milk in Natural Handcrafted Donkey milk soap appears as the star of beauty products. The nutritional properties of Donkey milk have been proven scientifically. The goodness of vitamin E and other nutrients makes donkey milk ideal for the skincare regime. 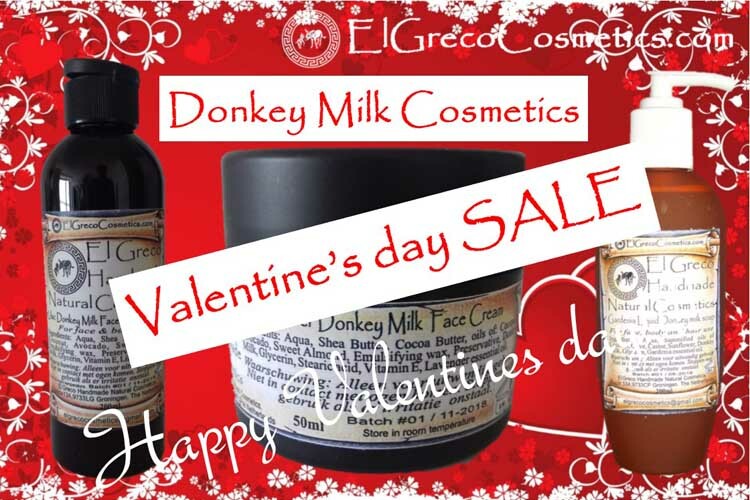 We, at El Greco Cosmetics, make the best handmade and 100% natural extra nourishing donkey milk soap that is loaded with the blend of effective herbal ingredients. Use this Natural Handcrafted Donkey milk soap daily to get a flawless and extra nourished skin in a natural way. Ingredients: Olive Oil, Sunflower Oil, Palm Oil, Coconut Oil, Castor Oil, Fresh Donkey Milk. Milk and olive oil together make a great blend for the skin care. We, at ElGrecoCosmetics, make the best extra nourishing olive oil milk soap that provides enough nutrients and proteins to your skin. 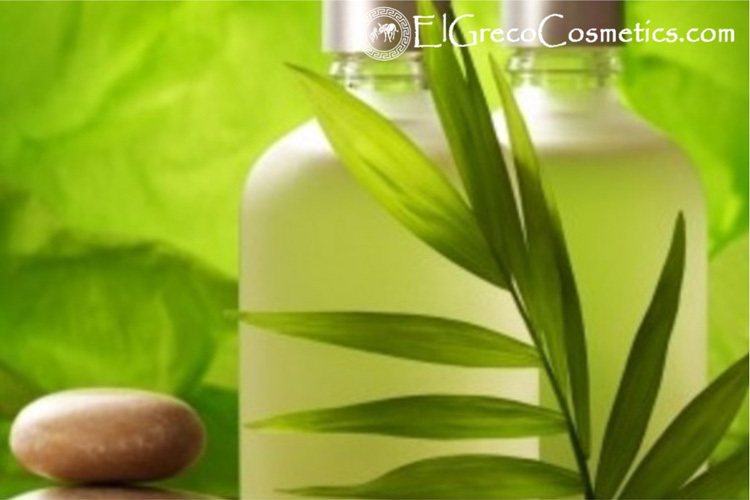 El Greco Cosmetics created the Extra Nourishing Olive Oil Milk Soap to treat your skin like it has never been before, using oils from the Mediterranean, it is only appropriate that ingredients for such a beautiful place will work together to make your skin flawless. All you must do, to achieve the beautiful skin you have always dreamed of is to us this Natural Handcrafted Donkey Milk soap daily, and soon your skin will transform before your eyes. You will fall in love with this product just like I did, as your skin becomes rejuvenated and smoothed to the touch. Erases wrinkles of the skin. Helps people with eczema, neurodermatitis, acne or psoriasis. What are the 7 Top Benefits of Using Natural Handcrafted Donkey Milk Soap? Donkey milk soap is a great source of essential vitamins and nutrients your skin will love. These rich vitamins include vitamin A, D, B1, B6, B12, C, and E.
Natural Handcrafted Donkey milk soap is high in alpha-hydroxy acids such as lactic acids. These acids break down dead skin cell bonds allowing dead skin cells to wash away while leaving room for new skin cells to generate. Your skin appears smoother and more youthful! Thanks to the fat molecule content in Natural Handcrafted Donkey milk soap, skin inflammation is reduced. Cream in Donkey milk is a natural moisturizer which soothes dry, damaged skin while removing inflammation. Natural Handcrafted Donkey milk soap is full of anti-bacterial properties that delay the growth and spread of acne by exfoliation. Dermatologists often recommend Donkey milk soap as a natural treatment for healthier skin. The natural hydrating properties of Natural Handcrafted Donkey milk soap are well known from the history to reduce or eliminate dry, cracking skin associated with sensitive skin issues, eczema, and psoriasis. You receive relief the natural way. Regular store-bought soap may contain harsh chemical acids to break down dead skin cells. These chemical acids have a similar reaction as a “chemical burn.” The vitamins, minerals, and natural acids in our Natural Handcrafted Donkey milk soap nourish and hydrate your skin instead of ageing it further. 7. Our Customers Love It! We’re proud to offer a product our customers rave about. Have a question? We’re happy to answer! Drop us an email anytime. We will happy to contact you! 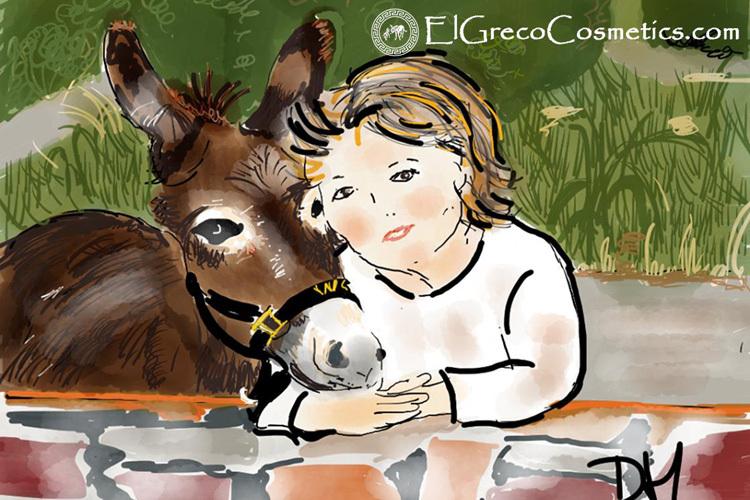 Why El Greco Cosmetics Natural Handcrafted Donkey Milk Soap? Utilize only the most natural and pure ingredients which are sourced from authentic. Endeavor to keep the sacredness of the procedures endorsed by Ancient Medical Treatise. Our practices are natural, biodynamic and maintainable, which implies that our homestead advances the earth as opposed to draining it. Natural cultivating concentrates on common data sources and strategies, for example, edit pivot, fertilizer and green excrement to build natural matter in the dirt and reasonably give plant nourishment. This strategy for cultivating permits us to enhance plant health and invulnerability, and oversee nuisances and illnesses without the utilization of inorganic chemicals. Find out more about Pure Natural Beauty Donkey milk Soap.